The lithosphere of the earth is made up of tectonic plates, plates of rock that lie under the crust. Just under the plates flows the hot, elastic asthenosphere. Tectonic plates do not just drift on this upper mantle. They move in different directions, converging, sliding or diverging. The way the plates move determines the geological features at the plate boundaries. Scientists have learned much about our planet by studying diverging plate boundaries. There are three types of plate movements: converging, transforming and diverging. Plates that push on each other as they slide in opposite directions form what are called transform boundaries. Converging boundaries either push together, forming mountains or subduct, one sliding under the other. Divergent plates move away from each other, creating a rift in the brittle rock of the lithosphere. Some divergent boundaries are on the ocean floor where the lithosphere is thin; others are on land. It is the structure and geological processes of divergent boundaries that shape the continents and oceans over time by forming new crust and new oceans. New crust is formed at divergent boundaries on the ocean floor where the lithosphere is thin. Magma from the upper mantle presses against the plate, pushing it upward, then flows off in opposite directions at the plate. The plate, constructed of brittle lithosphere rock, is stretched by the movement of the convection and soon cracks. 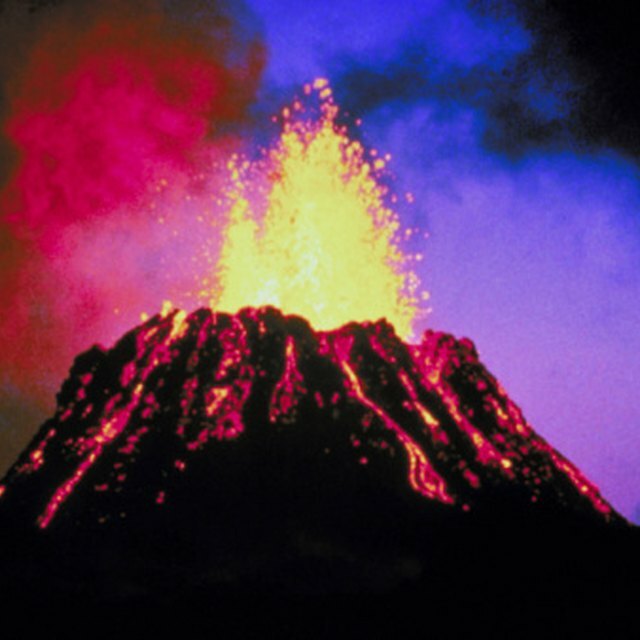 Magma fills the crack, cools and hardens, forming new crust. As convection continues under the plate, the rock of the new cooling crust becomes brittle and eventually cracks again, reforming the rift and pushing new crust to either side. As new crust is formed, other plates are pushed by the spreading ocean floor. When convection pushes against land, the thicker rock layer doesn't split as easily as thin ocean plates. Convection pushes the thick plate upward, stretching and fracturing it, forming a rift. Faults develop on either side of the rift. The rift between the faults begins to sink as the gap continues to widen. The sinking land forms a rift valley that, with water from streams and rivers, eventually forms a long lake. If the rift drops below sea level, it fills with ocean water and becomes a sea. This sea is the first formation of a new ocean. The Red Sea was formed by diverging boundaries and is the beginning of what will eventually be part of the ocean. By studying the material in oceanic divergent boundaries, scientists have been able to prove the plate tectonics theory. The magma filling fissures in diverging oceanic boundaries is magnetic and aligns with the magnetic pole as it hardens. Scientists date the age of the crust by comparing the alignment with known magnetic reversals. They have found that the oldest ocean crust is about 100 million years old. As new crust is formed in the divergent fissures, oceans widen and continents are pushed together. The creation of new crust and oceans at divergent boundaries, over time, changes the shape and placement of continents and oceans around the globe. Taylor, Sally. "What Forms in Divergent Boundaries?" Sciencing, https://sciencing.com/forms-divergent-boundaries-8571397.html. 13 March 2018.